Oeuf à la neige – also known as floating island or île flottante – is a French dessert of poached or steamed meringue served 'floating' in a pool of creamy anglaise custard. 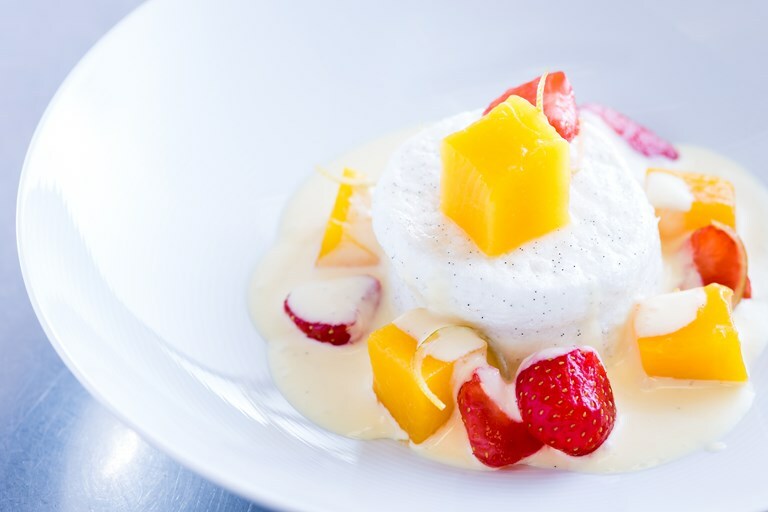 While it is often served with caramel, Graham Hornigold's floating island recipe opts for a combination of fruity flavours to breathe new life into this sweet dessert. 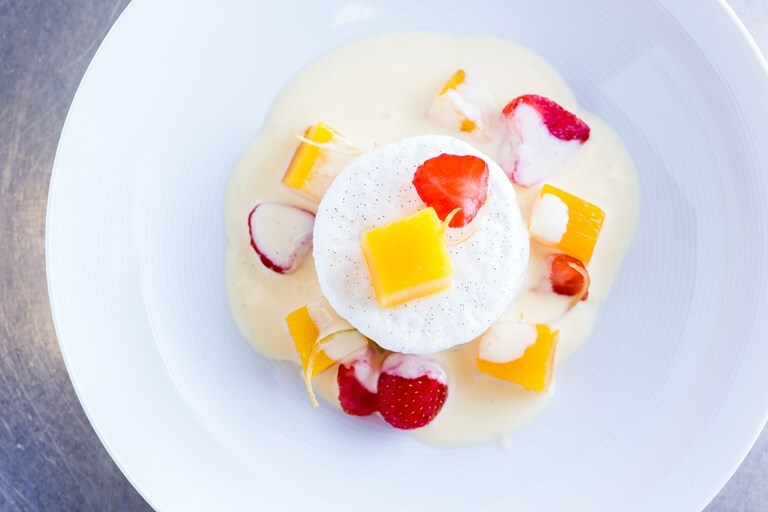 The anglaise is given a citrus kick with lemon and lime juice, while chunks of mango and strawberry – compressed in a vacuum to produce a wholly unique texture – bring both colour and zesty flavour to the plate. Graham Hornigold’s expert pastry skills have been refined in some of the best restaurants and hotels in London. Currently working as a pastry consultant, he effortlessly brings a delicate, refreshing touch to restaurant dessert menus.